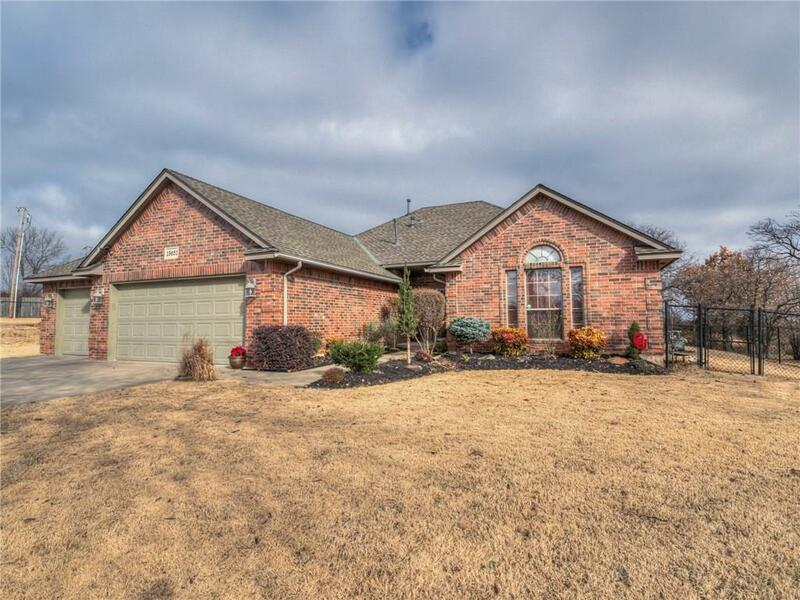 This is a centrally located home that is only a few miles from Harrah, Choctaw or the Harrah-Newalla area. Nestled on the cul-de-sac, this 4 bed, 2 bath home has large 1 acre lot with plenty of room for outdoor gatherings and for kids to play. There is an 18X40 concrete patio in the back of the home, along with a 220v breaker panel that is ready for a hot tub hookup. Inside, there are 4 bedrooms, freshly painted, with one that could easily be converted to an office/study. There is a large, spacious living room with a wood burning fireplace that is perfect for a relaxing evening at home. The kitchen comes equipped with stainless steel appliances, granite countertops, wall mounted pot filler over the range and plenty of storage in the upper and lower cabinets. There is a also a $1500 carpet allowance!! Book a showing today! !